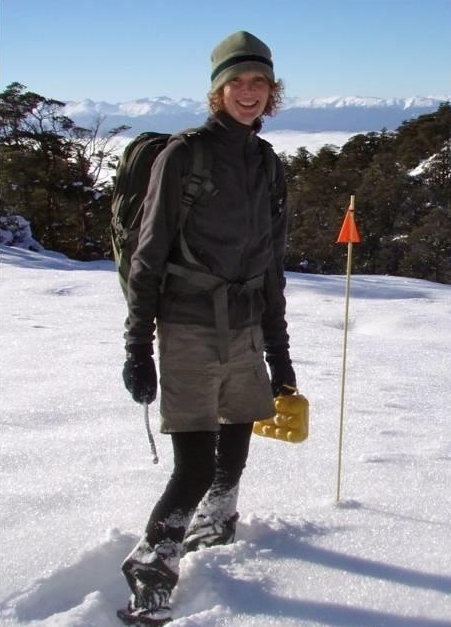 Today we profile Caroline Carter, Partnerships Ranger in Fiordland. Making friends, storytelling and magic! Basically my job involves me knowing about all the conservation work everyone is doing, and ensuring they have the resources they need to be successful. I get to share their stories with the world, inspiring others to join in the fun. Amazing things can then happen and this is where the magic comes in! 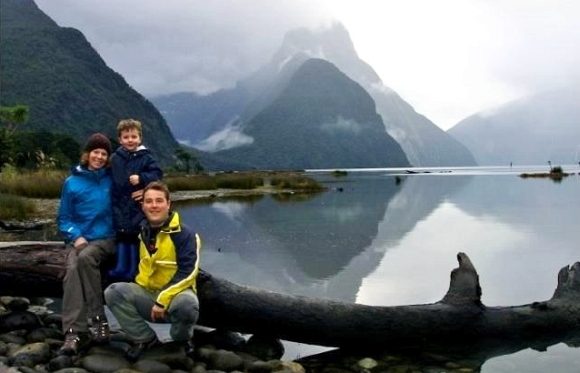 Encouraging every New Zealander to own the problem of our native species disappearing. What we do DOES make a difference and every little bit helps. The big and little people I work with. In an average week I might find myself with a four year old kindy kid sharing their enjoyment of an insect found in a rotten log, and that same afternoon, be equally inspired by a colleague discussing beech mast cycles and the scientific response. Staffing the DOC careers stand at Fiordland College. The kids had a series of questions to answer about working in conservation. To spice things up a bit (and to compete with the Army next door who had kids doing push ups to great applause), we added a question along the lines of “which pest did this poo”? The ‘poo’ was in a pot and they had to eat some to find out the answer. It was a multiple choice question; a) rat, b) possum, c) stoat, d) easter bunny. Without exception, every child reluctantly tasted a sample from the pot and then most of them, through screwed up chewing faces, looked through the list of possible answers. They really believed that we might actually feed them poo! 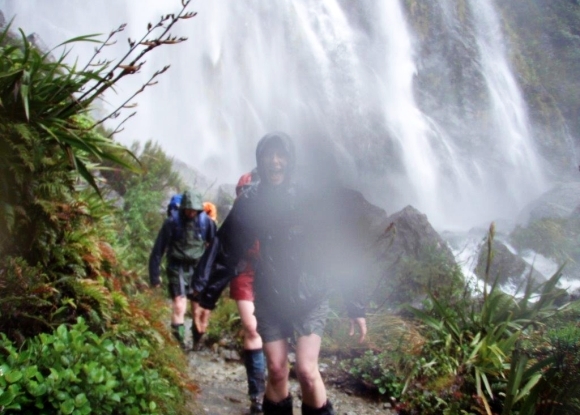 You need a good raincoat down here on the Routeburn Track! Every week I am inspired by my colleagues around me. We are like family! I once shared my bed with a feral piglet! Her name was Princess Penelope and my partner shot her mother on a bacon gathering trip! She was the most intelligent animal I’ve ever known. She toilet trained herself within 24 hours of being in the house—choosing to use the shower tray when it was too cold to go outside! One night, I woke to find she had got caught up in the duvet cover in her mad dash to get to the bathroom. She didn’t want to sleep in the bed after that! Anyone on the filming set of the BBC comedy ‘Gavin and Stacey’. It’s a crackin’ programme it is and I’m a total fan. On a recent visit to see family in the UK I went on an unofficial tour with my equally obsessed sister and we actually got to see where every scene was filmed—including the dodgems—‘cause you knows how I like the bumper cars’! Define holiday! 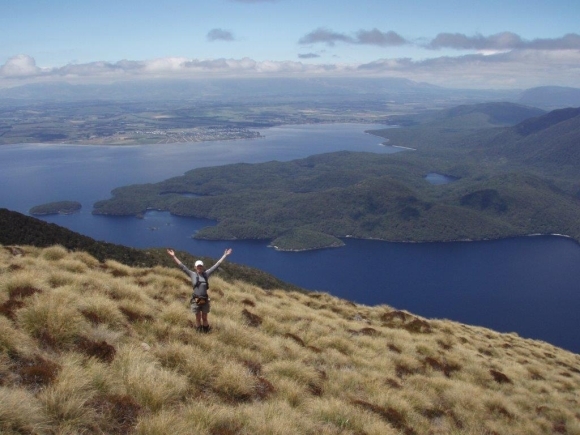 I’ve spent the last 14 years in New Zealand living on the edge of Fiordland National Park, cycling, kayaking, tramping—sounds like a perfectly good holiday to me! Enjoy dabbling in movie making. I really should do a course so I know what I’m doing, but owning a Mac makes it SO easy. I consider myself ‘learning on the job’! A Burwood takahē. I’d get to eat a tasty vegetarian diet, have a cuddly colourful partner for life, foster children in need of parents and experience what it’s like to do 7 metres of poo each day! TED talks. Not only are these talks filled with ideas worth spreading, they also introduce you to some exceptional people on this planet who really know how to tell a story and captivate an audience. “It would be selfish to have the answer and skills to prevent the extinction of native species, but to ignore this and let them slip into extinction” – Don Merton. At the time I was struggling with the fact that children lived in poverty, and it seemed unjust and selfish that a wealthy country could afford ‘luxuries’ like protecting its wildlife. But after speaking with Don I truly understood that what we do to the environment we do to ourselves. They cannot be separated. Don’s words have stuck with me ever since. Just one cathedral in Britain alone costs 19,000 pounds a day to maintain. That’s NZ$38,000 or about NZ$30 a minute! Other countries like Britain treasure their castles, cathedrals, bridges and ancient monuments and consider this spending a vital investment. 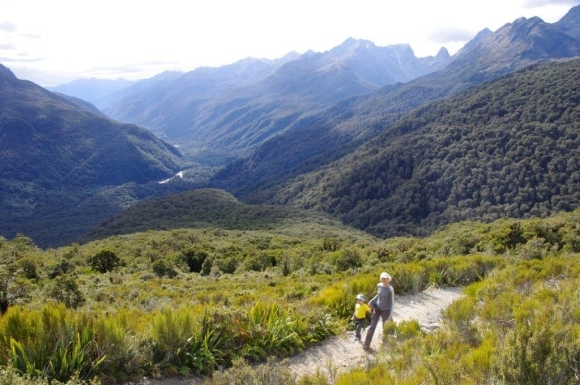 What makes New Zealand’s treasures so unique is that they are natural and LIVING—no amount of money could restore them if lost. Together we can protect these treasures, enjoy and celebrate them and be confident that they are as worthy of our attention as any Great Wall, Palace or Cathedral. If you could only use one kitchen utensil for the rest of your life, what would it be and why that choice? My spork—an impulse purchase standing at the till in Macpac many years ago. Well it looked so useful, who wouldn’t be tempted to buy one? Of course I’ve never actually used it, so if it was the only thing I had left, maybe I would. The spoon end could stir, the fork end would mash, and the knife… it might chop?! 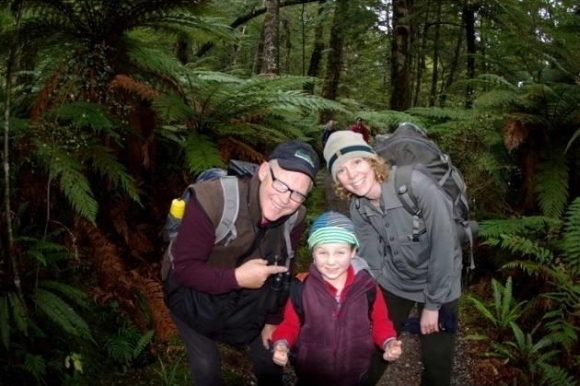 Your advice is the best explanation I’ve seen for why we must protect our environment and our native species, and from who else but Don Merton, an inspirational conservationist! Your ‘best bit of advice’ brought a tear to our eye. We cannot separate ourselves from our environment.